Our range of services include variable frequency drive. Our rapidly growing organization is offering a wide gamut of AC Inverter Drive. 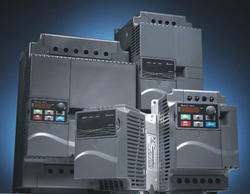 Offered inverter drive is provides a full range of motor control technologies and usually used in various industries. This inverter drive is developed using the most-advanced technology & best components under the direction of experts. Our inverter drive is tested on numerous parameters so as to deliver flawless range.